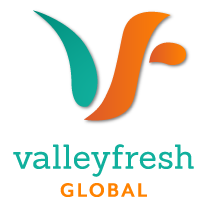 Valleyfresh are global produce distributors and packers with specialist expertise in import and export programs. Our vision is to be recognised as a global leader in the supply of fresh fruit and vegetables. Valleyfresh Australia’s import division is recognised as one of Australia’s leading fresh produce importers. We have successfully and consistently sourced high quality produce from around the globe to satisfy our customers for nearly 20 years.